Words by John Betjeman. 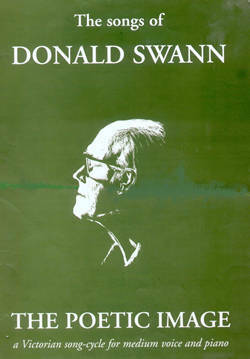 Music by Donald Swann. Baritone voice and piano. Words by C. Day Lewis. 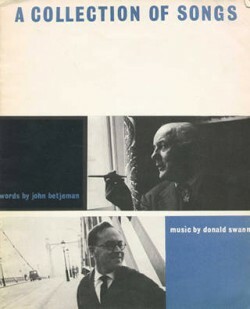 Music by Donald Swann. Publisher: First Paige, Worcestershire 1992. Set to music in the 1960s when Donald was preparing to work on CV Day Lewis's 'Requiem for the Living'. 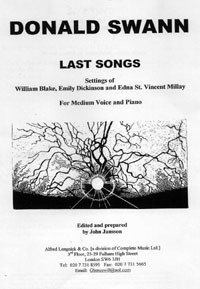 Originally a solo song, rewritten for Mezzo or Baritone solo with Chorus Addition. Out of print; contact Leon Berger. Original publisher: Albert House Press 1991, then Thames. Poems by J.R.R. 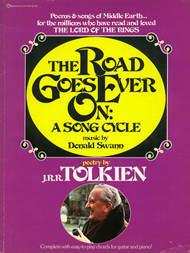 Tolkien, music by Donald Swann. 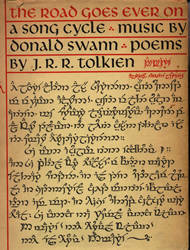 A cycle of songs selected from THE LORD OF THE RINGS trilogy, with Elvish calligraphy by Tolkien. Original Publisher: George Allen & Unwin 1967. Now Harper Collins. Donald Swann's settings of J.R.R Tolkien have been republished by Harper Collins with a free CD of the original recording with William Elvin and Donald. 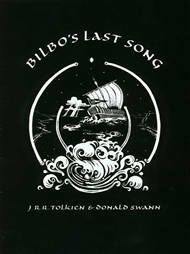 'Bilbo's Last Song' and 'Lúthien Tinúviel' are later additions to the original cycle of 7 songs. Both are now included in the published music and as bonus tracks on the CD. Foreword by Leon Berger. Harper Collins ISBN 0-00-713655-2 price £20. Can be ordered from UK bookstores and music stores. 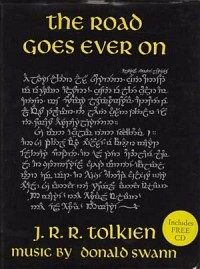 'Bilbo's Last Song' can also be purchased as a separate edition. 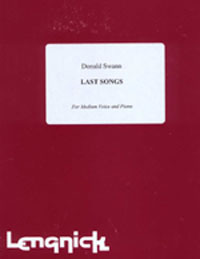 'Lúthien Tinúviel' can be found in THE SONGS OF DONALD SWANN: VOLUME 1. 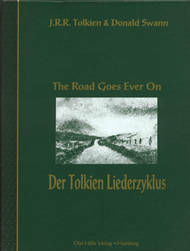 For more information about Tolkien publications, see the Official Online Book Shop. 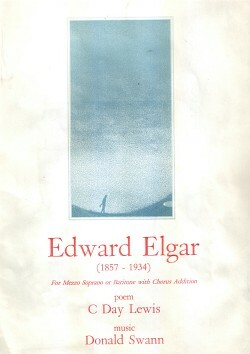 UK 1st edition. George Allen & Unwin, London 1967 (top left). US paperback edition: Ballantine Books, New York 1969 (top right). German edition. Olaf Hille Verlag, Germany. 1993 (middle left). 'Bilbo's Last Song'. Albert House Press 1992 (middle right). UK 3rd edition. Harper Collins, London 2002 (bottom). Settings of William Blake, Edna St Vincent Millay and Emily Dickinson. Publisher: Alfred Lengnick & Co, London 2001. Donald's late-flowering interest in Victorian poetry produced these exquisite settings in the last years, and indeed weeks, of his life. Foreword by Leon Berger, John Jansson & Alison Swann Smith. Published by Alfred Lengnick & Co.